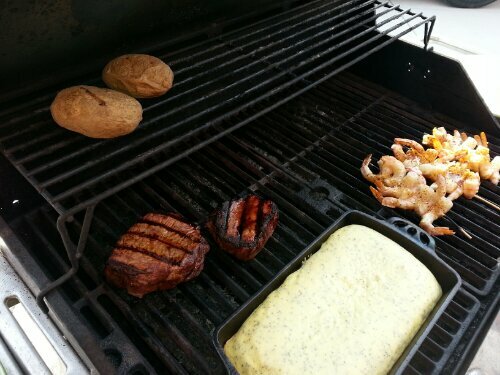 Dinner on grill 60 degrees and sunny – time for steak, potatoes, shrimp, and a loaf of warm bread!. 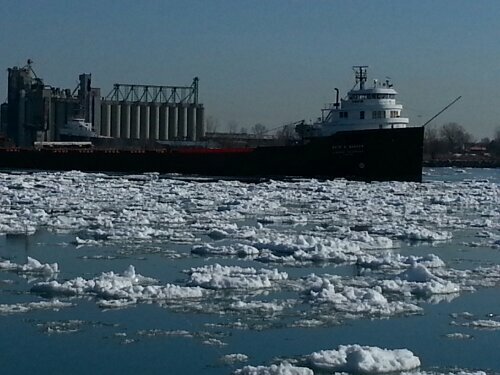 At Port Huron on St. Clair River. 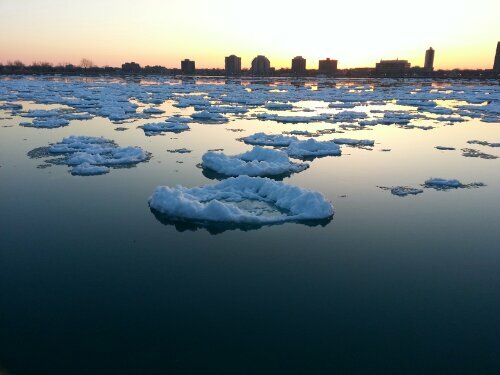 Ice is breaking up and coming down river. 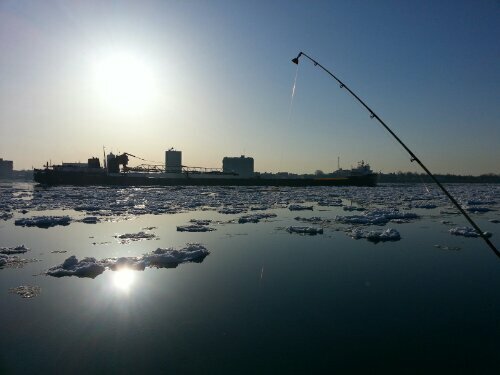 You can see how quickly the ice is moving! 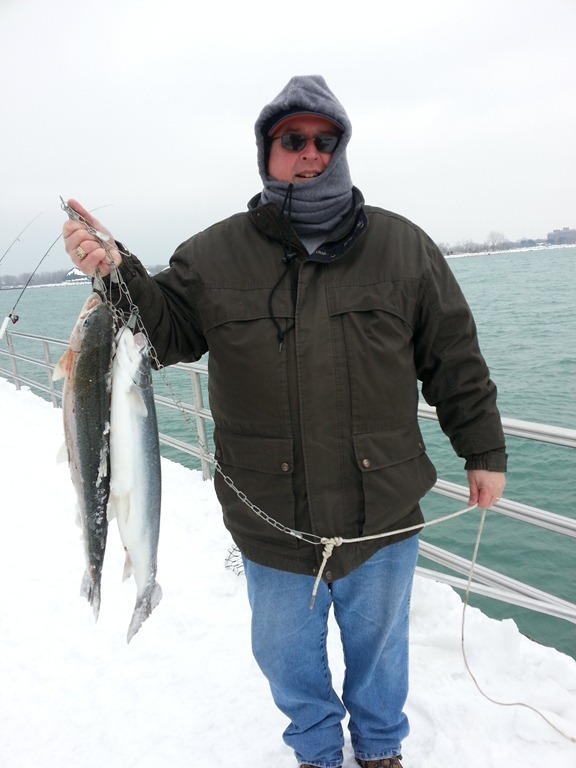 We took a ride this weekend back up to Port Huron to see what was there in town. I drive down to the bridge to see if the water had cleared up any and it had – it was much more blue than it was last week. I’m still amazed at how swift the water runs in this part of the river. Although we drove around town a bit we did not stop in to any of the shops. It seemed like there was more there when we were fishing, but really we drove in and out just taking note of the building as we passed. Sad to say that it did not pan out to do a little local shop hopping. I would like to go back and see the Ice Museum some time. 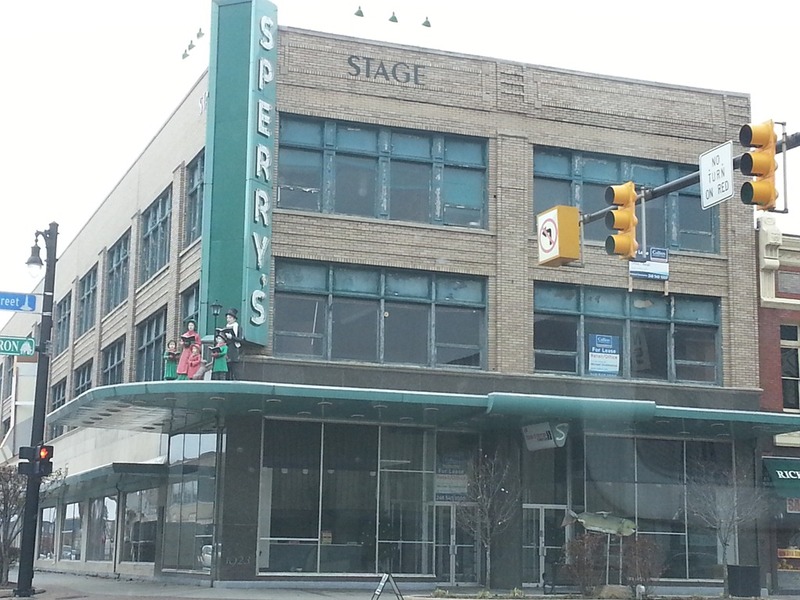 One of the places that I thought looked really interesting was Sperry’s. Looked like it was an old department store or something… but seems like it’s been a while since it saw customers – although it did have caroler figures on the awning. 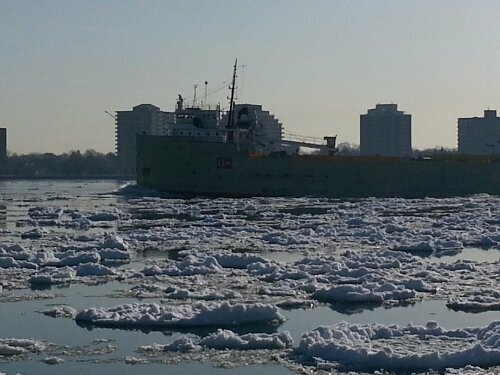 We drove back along the St. Clair river all the way down to New Baltimore before making our way west to the house. It was a nice drive (if you like that sort of thing). Today we made our way over to Stony Creek Metro Park near the house and walked the Osprey Trail which makes it way round the edge of the upper lake by the Nature Center. It was a nice walk at just under two miles, but seemed to go by really quickly – left you wanting just a bit more. It’s nice weather here with temperatures near 70 degrees today (but very windy). 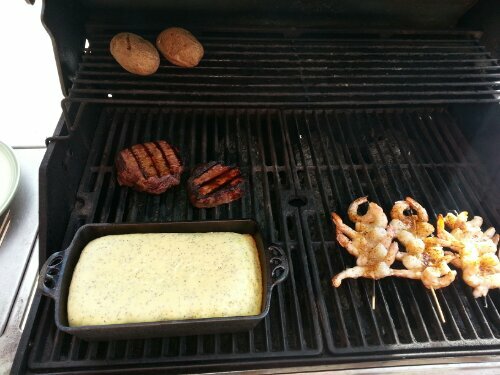 Several folks have mentioned snow next week but I can’t really imaging it to be honest based on how warm it was today. But like any place else, the weather can change on a dime.